Colorful, rhythmic, rhyming and whimsical! That is the fun filled world of Aƶure House and all of the alphabetical inhabitants that creatively share their amusing stories of their lives and loves through rhyming verses that tickle your soul and make you laugh out loud. 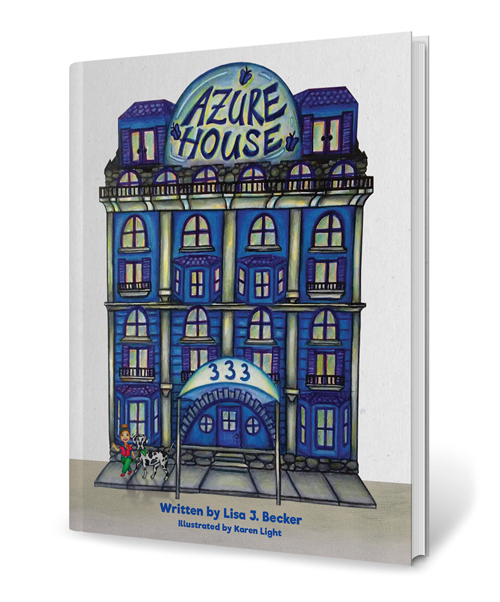 In this first in a series of more fun to come, Lisa Becker takes us through a creative journey of these fanciful apartment dwellers at Aƶure House sharing stories about endearing characters, their pets, families and work lives through rhymes and fun narratives. Beautifully hand drawn illustrations paint the picture of this new found world where colors collide with creative writing! Stir up the imaginations of the young ones in your life or even for the young at heart! Young readers will appreciate the cadence and flow of words on each page as will younger children be engaged when they are read to! Discussion questions follow at the end of the book - as well as an e-mail address for readers to communicate with the author! From A – Z Lisa will capture your hearts and stir the imaginations and creativity of children from far and wide. Aƶure House is on Amazon.com... For autographed copies and bulk/discounted quantities, contact Lisa with the online form. It is my heart’s desire to provide multiple copies of this book to all 22 Shriners’ Children’s Hospitals throughout the United States, Canada and Mexico. 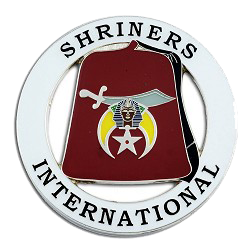 My beloved father has been a Shriner for most of his adult life. In honor of him, the Shriner Organization, their hospitals and staff and also the wonderful children and their families, I invite you to donate a copy(s) of my book, have your own fundraiser or simply donate to the organization.